When picking gluten-free flours, you have to be very careful in picking one that is not produced in the same facility as flours with gluten. These pure bean, lentil, corn and grain flours are all made in dedicated gluten-free facility and tested to be free of less than 20 ppm of gluten. Besides being certified gluten-free, they are also certified organic, kosher, Non-GMO, vegan and raw. And because they are sprouted, dried and milled at low temperatures, they retain their vitamins, minerals and enzymes, according to PureLiving. 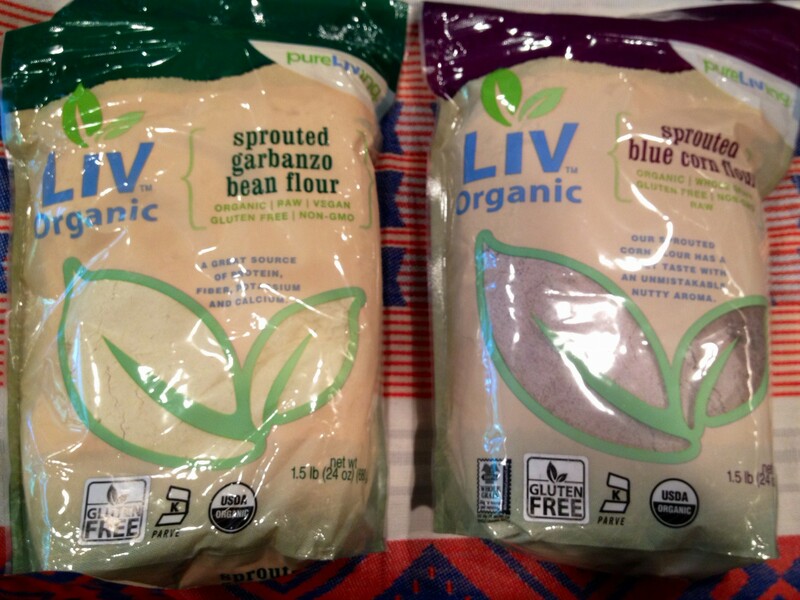 I have tried, and use frequently, the sprouted blue corn and garbanzo bean flours. Both taste great, and can be used in a variety of recipes. 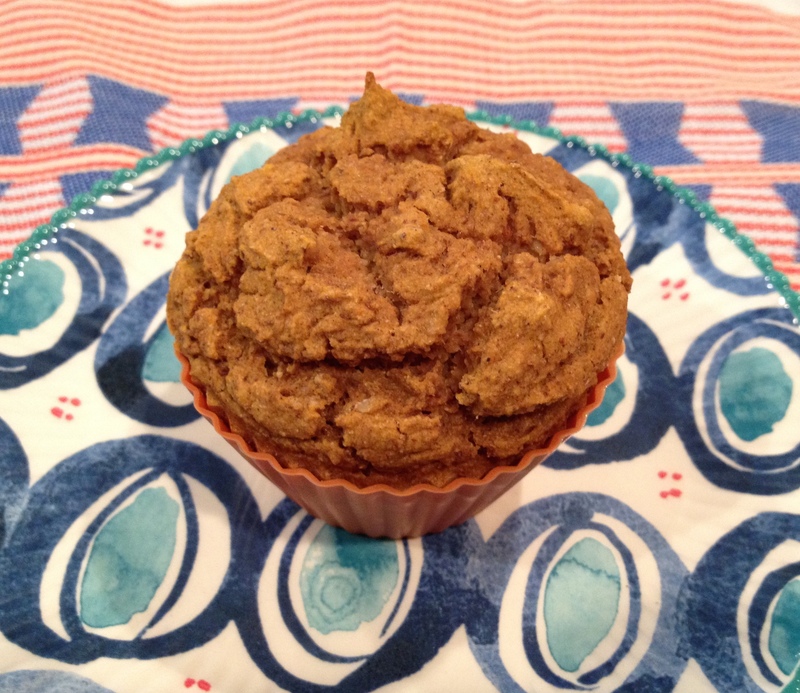 I always use the garbanzo bean flour when I make my own muffins, including my Orange, Cinnamon and Anise Muffins. 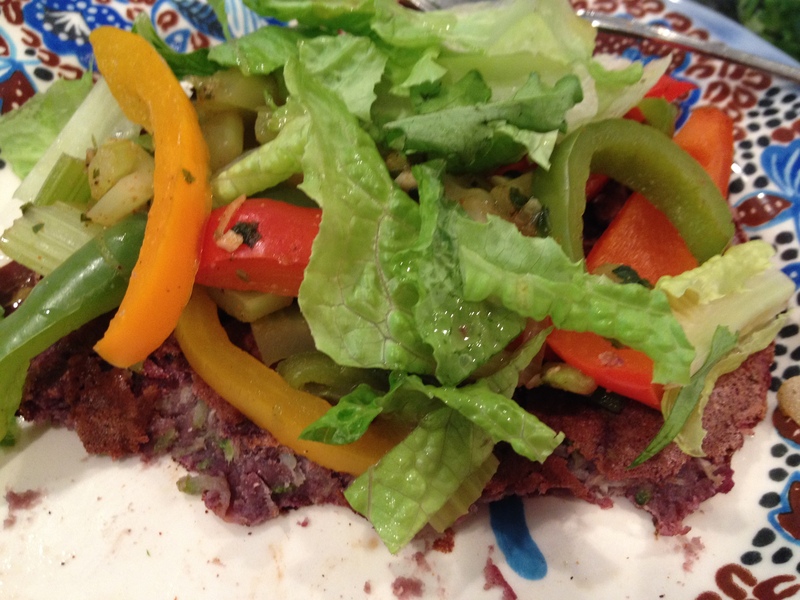 The blue corn flour is also great in muffins, and for making your own tortilla substitute like this Mexican Blue Corn and Zucchini Pancake.